I first met Boyd Lemon about this time last year when he was on his way across country and made a stop to visit me and the Women's Writing Circle. Boyd and I discovered we had several things in common, not the least of which was reinventing ourselves after successful careers, he as an attorney and me as a journalist. 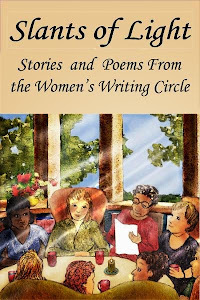 Each of us had published our memoirs and taken the independent publishing route of publicizing and marketing ourselves. Mostly, though, I think the main attraction was our love for writing, the joy and the expectation that comes when sitting down and putting pen to paper. 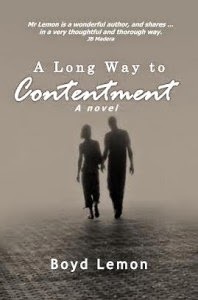 And so it was with interest that I read Boyd's debut novel A Long Way to Contentment. I found the book to be quintessential Boyd Lemon, his main character, Brad Wilson, a 31 year-old writer, grappling with disappointments, drug and alcohol addiction and, of course, recovering from a disappointing relationship with a woman. "The hardest thing for me to accept was the reality that, with rare exceptions, people in your life come and go," Brad says. As told in the first person, the novel feels much like a memoir, with entertaining side trips, including Brad being busted for drugs and thrown into a prison in Myanmar. In this interview, I asked Boyd to talk about writing and his path from memoir to fiction. Please welcome Boyd to the Circle. Your comments and questions are welcome. How do you come up with the characters in your book? I started with the main male character, Brad, wanting him to go through a modern day hero’s journey as discussed by Christopher Vogler in The Writer’s Journey and before him, Joseph Campbell in The Hero With A Thousand Faces. They make a strong case that we humans are hard wired to want and love stories of heroes who are faced with seemingly impossible obstacles, but find the stamina and courage to overcome them in the end. Personally, I have always loved stories with that structure. I decided to make Brad a young writer. From there I didn’t know at the beginning what obstacles he would face, except the first one––trying to get a novel published and beyond that earning a living from writing. The other characters came to me as I went along, a troubled, beloved sister, a young wife that he unknowingly, emotionally abused, a literary agent, a drug dealer, an unrequited love, and so on. I knew what the beginning and ending would be when I started the first draft, but I had no idea how Brad would get from the beginning to the ending. What prompted the story line? Any incident in your own life? 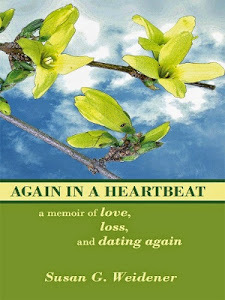 It wasn’t any incident in my own life that prompted the story line, but I had the same experience Brad had in being ignorant of who I was and struggling to find out, making some serious mistakes along the way, which I think is a common plight of young men and probably young women too. I thought people would relate to that and hopefully learn something from what happened to Brad and the other characters. How did you decide on the locale where the main character is busted for drug possession? I wanted it to be a place where I was certain the prison experience would be horrible and terrifying to Brad. I first had this part of the story set in Turkey, until I realized there had been a best selling memoir written by a young man who had been busted for drugs in Turkey. So I literally got out an Atlas and looked at the various countries in that general part of the world, came up with Myanmar, and after researching the history, politics and prisons there decided that it fit the story. Did you enjoy the process and what was your writing process like? I enjoyed 90 percent of the process very much. The 10 percent that I didn’t enjoy was the final edit, which I have found agonizing in all the books I have written. My process was not complicated. I essentially did a series of writing practices in which I first asked the question, what was Brad’s troubled childhood like? I wanted him to have a troubled childhood because so many interesting characters did. (I didn’t.) From there, I simply asked what happened next and started writing whatever popped into my head. I just kept asking that question and writing every day, or almost every day. Boyd reading his memoir in the Circle. I reached the end, or what I thought was the end, in about three months. I read it over and decided it needed a lot of work, but I had something I could work with. The second draft was significantly different from the first, including a change in the point of view from third to first person. I deleted and added and moved parts of the story around a lot. Figuring out how the story should start was difficult, and where I started in the chronology went through several iterations. After reading the second draft, I realized I needed more character development. The characters, especially those other than Brad seemed shallow. That was confirmed by a writer friend of mine who read it. So I added a lot about the main characters (40 pages or so) to the third draft. The fourth draft was polishing the language and making sure my characters were consistent, that the time line made sense (such as not having our invasion of Iraq in the wrong year), that the plot line was realistic. 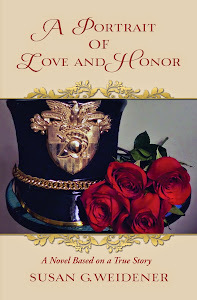 Then I submitted the manuscript to several beta readers, who critiqued it. The fifth draft took their comments into consideration. I then submitted it to a professional editor, and the sixth draft arose from his comments and corrections. Finally, I submitted it to a professional proofreader, and afterwards went over it one more time myself, making some minor changes. What are the challenges, if any, moving from memoir to fiction? When I first began to think about the plot of my novel, I thought, this is going to be easy. 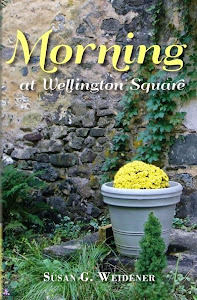 I don’t have to worry about what the truth is, as I did in writing my three memoirs. I can just make up anything I want. Well, I soon found out that was not so easy, and the reason is that the possibilities are endless. There are virtually no limitations. How do you choose which way the story goes, what the characters are like, what they do? It was a daunting challenge at first, until I really got rolling during the writing of the second draft. It is also difficult to make sure that what you have your characters doing and what they are like makes sense. In memoir you know that it makes sense because it actually happened, but writing a novel you have to always ask the question whether what you wrote makes sense. Is it grounded in reality? Would so-in-so really do that? Could it have happened that way? How long did the writing and publishing take? The writing process took about a year; publishing took about a month. What messages do you hope to impart to your readers? I think there were multiple messages: knowing yourself is the most important thing in life; you never really know another person; if you want a close relationship with someone, you must pay attention to their needs and wants; you will almost always suffer the consequences of your own mistakes, but everyone makes them. Finally, to be fulfilled, you must have close relationships that are healthy, work that fulfills you and live an authentic life, one in which you are yourself and not someone others want you to be.